Used for performances of the "Passionsspiele" (Passion Play) every 6 years, following a tradition that dates back to 1613. 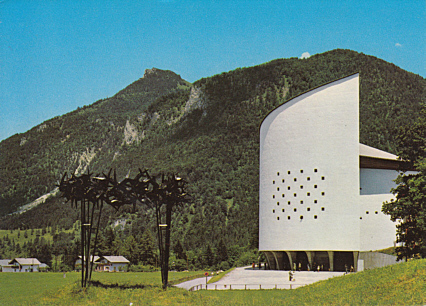 In the other years, used for an opera and music summer festival, "Tiroler Festspiele Erl". 1500 seats. 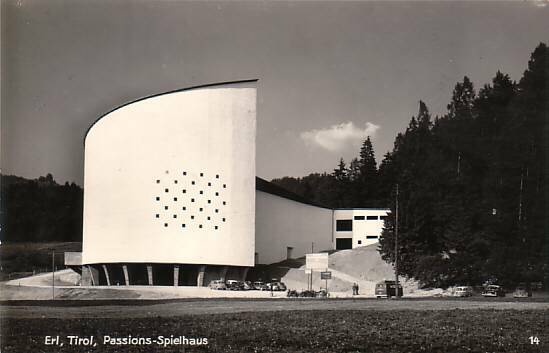 Front Text: "Erl, Tirol, Passions-Spielhaus"
Reverse Text: "Passionsspielort A-63434 Erl, Passionsspielhaus, Unterinntal, Tirol. Österreich ist schön, komm, bleib!"